Fundraiser by Lindsey Little : Clemson Aquatic Team needs your help! 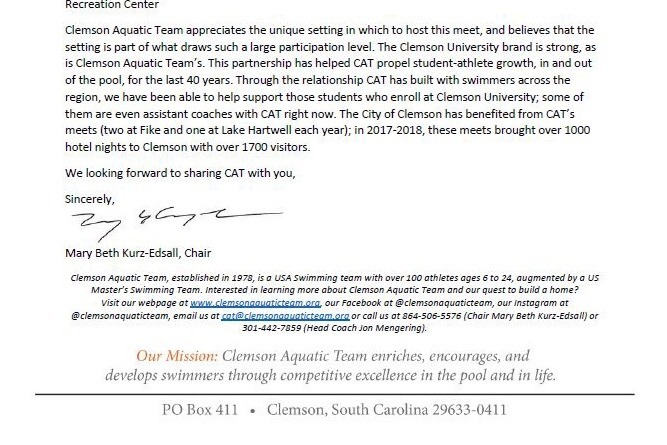 Clemson Aquatic Team needs your help! 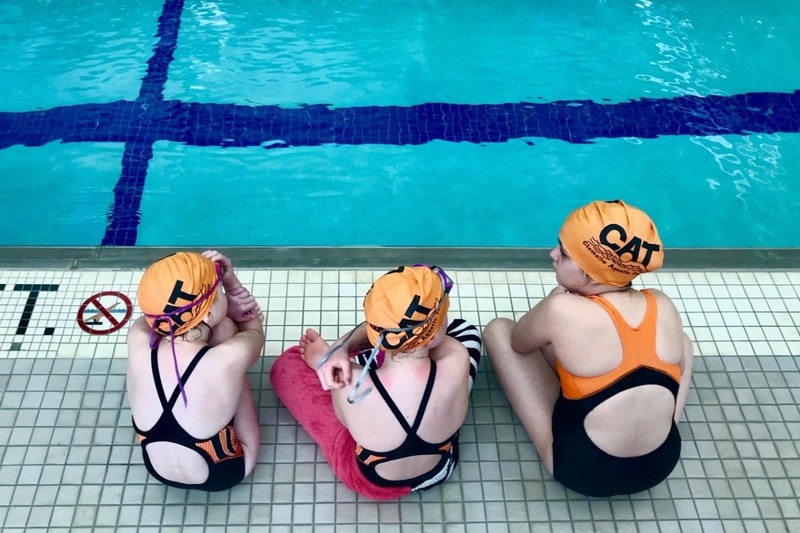 Your generous donation will allow CAT and its members to ensure the stability and future of CAT, while helping us provide opportunities in personal growth and development of people of all ages through competitive swimming and aquatics through the inception and construction of a new aquatics complex. The first step is to fund a feasibility study - this initial goal will allow us to conduct research on a massive scale to build such a complex for CAT and the community at large. CAT is working on funding from corporate and public entities, but in order to harness those opportunities we need a feasibility study. We are asking all our friends, family, community leaders and lovers of all things swimming to help us reach a goal of AT LEAST $30,000 to begin this new venture. Let’s share the ❤️❤️❤️ with CAT!! We are at 25% of our goal! Funds are accumulating! 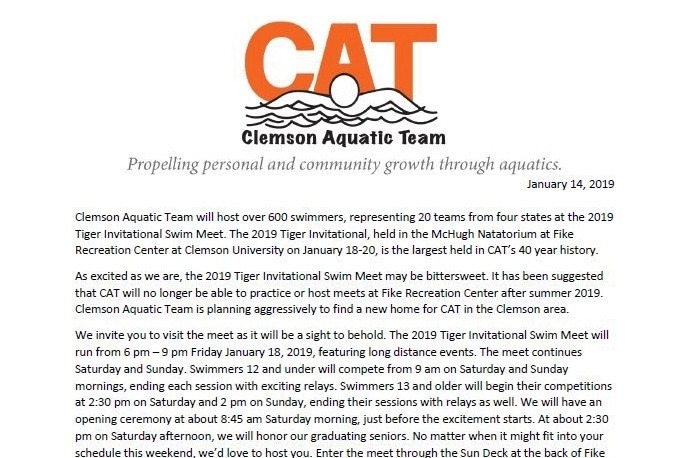 Share with your friends and family to help plan for a long future for aquatics in the Clemson area!